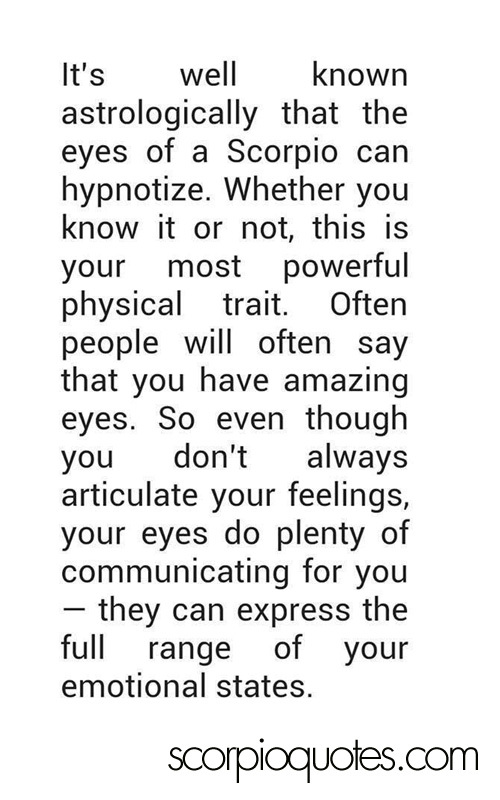 It is well known astrologically that the eyes of a Scorpio can hypnotize. Whether you know it or not, this is your most powerful physical trait. 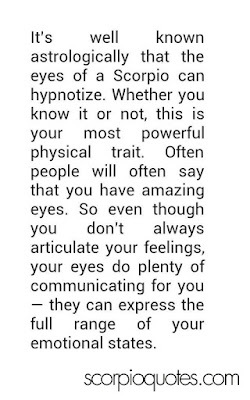 Often, people will say that you have amazing eyes. So even though you don't always articulate your feelings, your eyes do plenty of communicating for you - they can express the full range of your emotional states.